이니스프리 마이 헤어 레시피는 나의 두피와 모발 상태에 따라서 다르게 사용하는 헤어 제품 라인업으로, 내 헤어 상태에 맞게 레시피를 구성하듯 골라 쓸 수 있는 제품입니다. 이니스프리 용기의 모든 시작점인 “시약병”에서 영감을 받은 용기 디자인과 브라운&아이보리의 절제된 컬러로 두피 라인과 모발 라인을 구별할 수 있게 설계했습니다. 또한, 시약병 모티브를 살리면서 사용성이 좋은 펌프용기 형태로 구현하였습니다. 그래픽은 미니멀하게, 필요한 정보만 넣어 소비자가 제품을 사용하는 공간인 욕실에서 어울리도록 디자인하였습니다. 또한 이니스프리의 스킨케어, 보디 케어의 용기들은 모두 시약병을 모티브로 한 디자인을 가지고 있습니다. 헤어케어의 용기 또한 이니스프리의 용기의 아이덴티티를 전달할 수 있는 시약병을 기반으로 디자인했으며, 사용성 또한 좋게 하기 위해 많은 시행착오를 거쳐 설계했습니다. 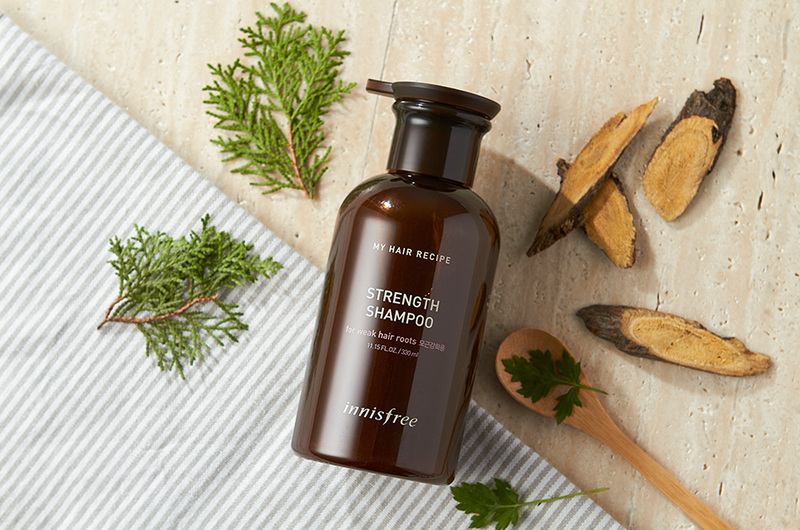 innisfree’s My Hair Recipe is a line of hair products which can be used differently depending on customers’ scalp and hair condition, as if they were choosing a suitable recipe. 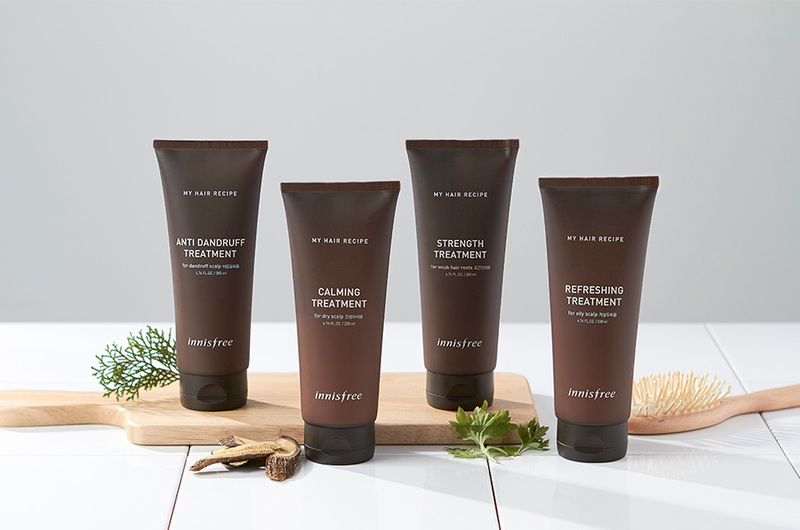 Inspired by reagent bottles, the line has a simple design and color scheme, brown and ivory, while the design distinguishes the scalp line and hair line. 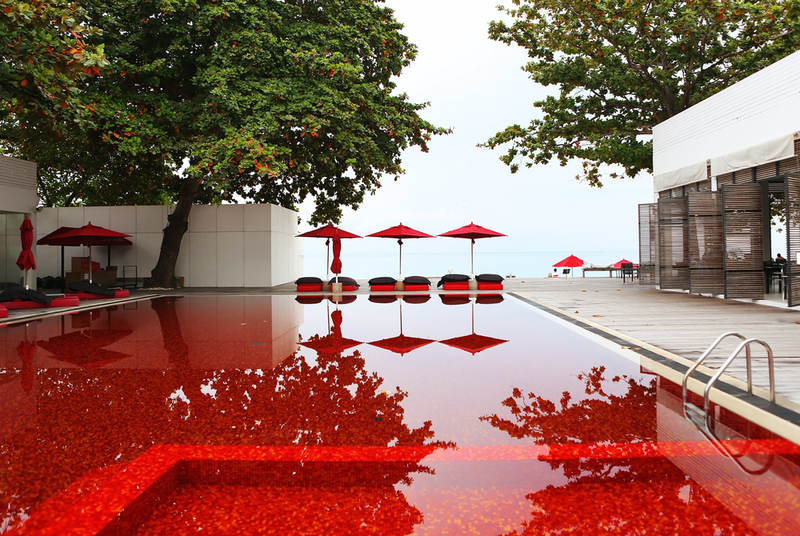 With the reagent bottle shape, the design incorporates an easy-to-use pump. The graphic element is minimal conveying essential information only, and the overall design is made to look good in bathrooms. 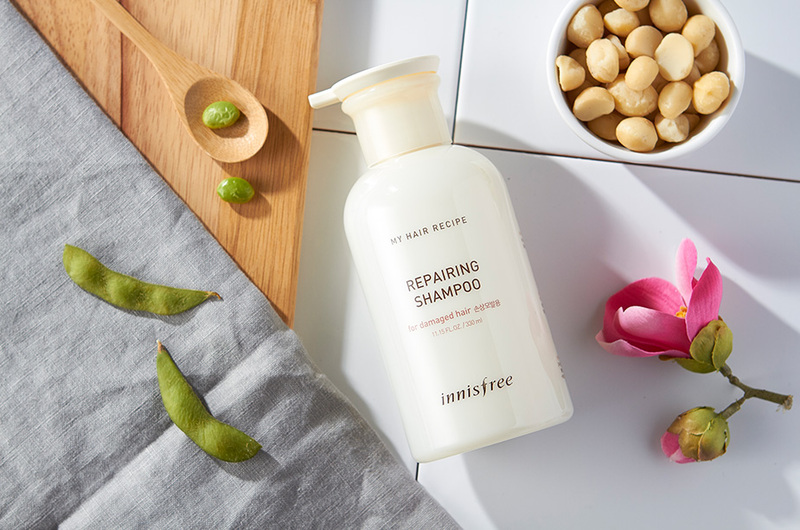 The reagent bottle motif is extended through other innisfree skin care and body care lines. The container of the hair care line, based on the reagent bottle design, is the result of many a trial and error to attain the best functionality.